This delicious milk chocolate is so, very British. The subtle, Earl Grey flavours, are blended with organic, fair-trade milk chocolate from The Dominican Republic. 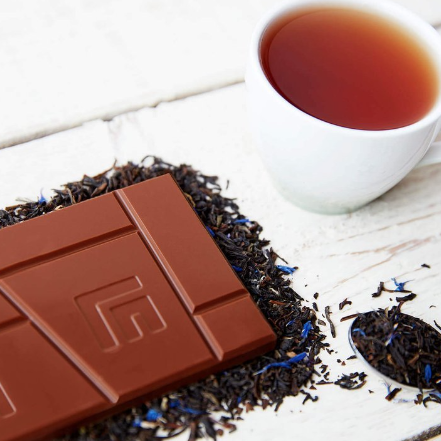 The Earl Grey Milk Chocolate Bar is perfect for Tea-Time! This is a great gift for anyone who appreciates a good cup of tea. There are some other delicious flavours from Love Cocoa. Take a look at the English Mint here. The inspiration behind Love Cocoa, comes from founder James Cadbury’s, great-great-great grandfather, Mr John Cadbury. He setup Cadbury’s chocolate nearly 200 years ago. The philanthropist built the company on great ethical grounds, looked after its workforce and improved their civil rights.